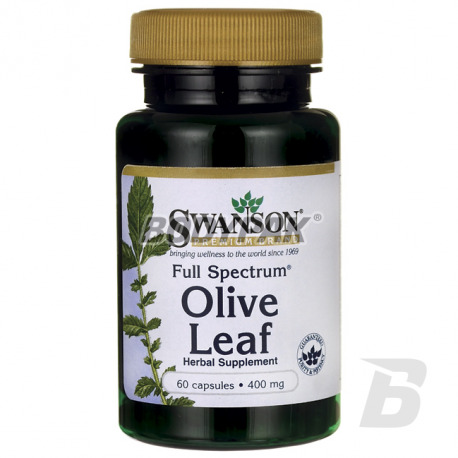 Health & BeautySwanson Full Spectrum Olive Leaf 400mg - 60 kaps. 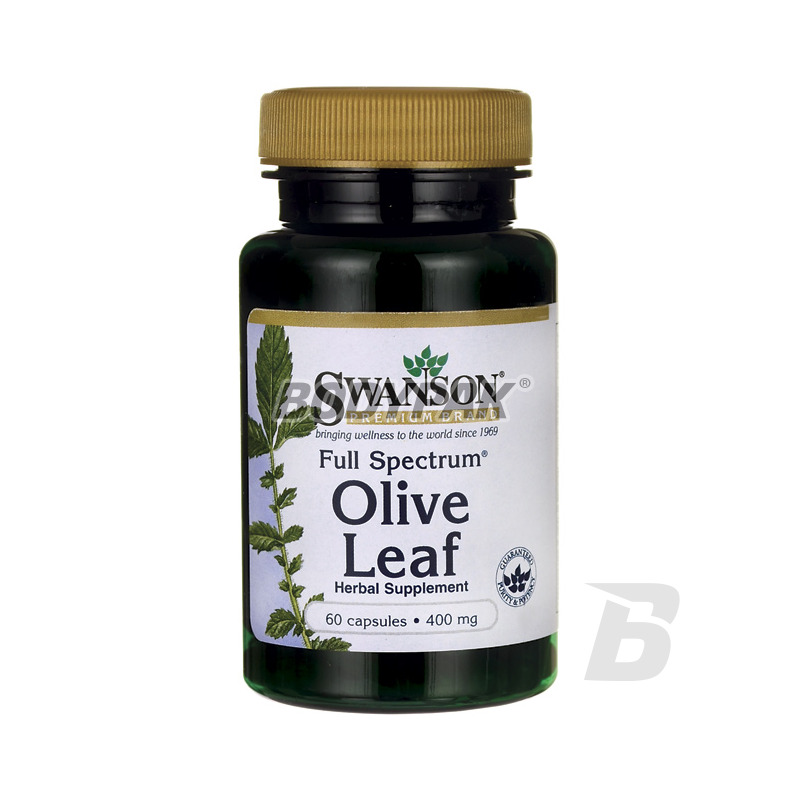 Full Spectrum Olive Leaf - supports the immune system and is a natural source of antioxidants. Olive trees are extremely durable, resistant to diseases and pests. Even they reach the age of 3,000 years. The extract from the leaves of the olive tree is a very good product that supports the immune system. Olive leaves contain a unique ingredient called oleuropein, which naturally supports and protects the body. Oleuropein and its products of hydrolysis such as acid eleonowy, aglycone, and eleonoat calcium - salt is extracted from acid eleonowego all these elements work synergistically to create great strength leaf olive supplement the daily diet with the nutrients of natural origin, and above all in polyphenols, which have antioxidant activity and enhance overall immunity. Składniki: Liście z drzewa oliwnego (Olea europaea), żelatyna (otoczka kapsułki), mąka ryżowa, stearynian magnezu i/lub dwutlenek krzemu (substancje przeciwzbrylające). Swanson Reishi Mushroom Extract 500mg - 90 kaps. Reishi mushroom extract at its best. Support your immune system and improve your well-being in a completely natural! Highest quality and standardization!